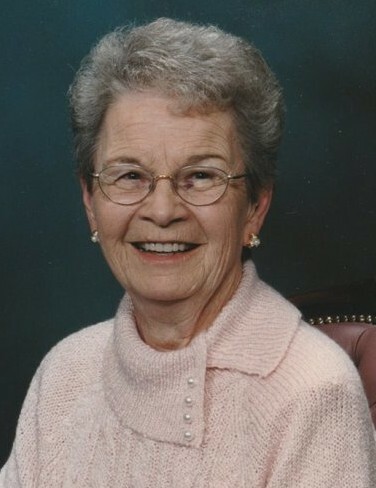 Obituary for Mrs. Shirley J. (Loveridge) Spivey | Hinchliff-Pearson-West, Inc.
Mrs. Shirley J. Spivey, 92, of Knoxville, formally of Alpha, died at 10:45 p.m. Sunday, January 27, 2019, at Knox County Nursing Home. Shirley was born May 10, 1926 to Clarence & Edna (Foster) Loveridge in Alexis, IL. She married Richard Spivey December. 24, 1945. He died in March 1977. She is survived by 3 sons; Blaine (Sharon) Spivey, Galesburg; Allen (Linda) Spivey, Winters, Texas; Kevin (Janice) Spivey, Woodhull, Illinois; 9 Grandchildren, 12 Great Grandchildren, and her beloved dog Bubba. She was preceded in death by her parents, husband, brother Clarence Loveridge, sisters Martha Moore and Virginia Jaudes. Shirley was a cook for the Alwood Elementary School for many years before owning and operating Shirley’s Shop until her retirement. She graduated from Alexis High School and was a lifelong avid Chicago Cubs and Chicago Bears fan. She was a member of the Alpha United Methodist Church her whole adult life. She loved spending time with her family and friends. In accordance with Anatomical Gift Act of Illinois, cremation will be accorded. A celebration of Shirley's life will be 11 a.m. Saturday, March 23, 2019 at the Alpha United Methodist Church. Visitation will be one hour prior to the service. A luncheon will be served following the service. Memorials can be left to the Alpha United Methodist Church. Hinchliff-Pearson-West Funeral Directors and Cremation Services Galesburg Chapel is handling arrangements for the family.